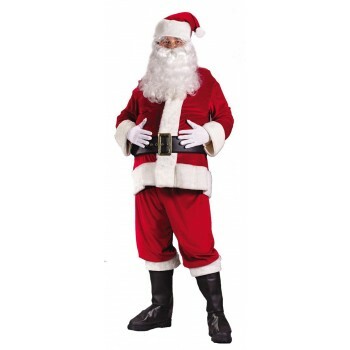 This costume is made out of great quality velour fabric with a beautiful faux fur trim. It has special thick, snap-closure gloves, a shiny gold belt buckle and pristine hemmed belt and boot covers. The boot covers also have elastic to ensure correct position over your shoes.